The King Hussein Bin Talal Convention Centre (KHBTCC) in Jordan is now being managed by Hilton Worldwide. The convention centre will operate under the Hilton Hotels & Resorts brand. It offers almost 5,000sqm of events facilities, with 25 meeting rooms including a 625sqm space that can be divided into two 350-delegate sections. 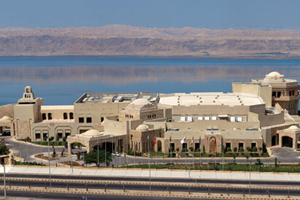 The centre is adjacent to the 285-room Hilton Dead Sea Resort & Spa that is set to open in the fourth quarter of 2014.